Want something healthy for breakfast, that is satisfying and wholesome and also really delicious? These Zucchini Carrot Oatmeal Muffins, made with whole wheat and golden raisins, are the perfect option! Remember a few weeks ago when my son was asking me to make him some muffins, and I was too, well, LAZY? I made him cranberry pancakes instead and it satisfied him, but darn it if he wasn’t still asking for muffins. Recently my five year old daughter was needed to increase her fiber intake. Ahem. So I decided to make some muffins, and to make them super healthy. I thought they would hate them but they LOVED them! They each had two for breakfast and asked for them the next day. (Despite my daughter catching me dumping shredded carrot in the bowl – “Mom, are those CARROTS???”). Spray the pan generously with nonstick cooking spray. This is my preference over using paper liners because the liners have a tendency to stick sometimes and you can lose a precious raisin or two. Squeeze the liquid out of the carrots and zucchini. You want them to be moist, but not mushy. Take a clean flour sack towel or several paper towels stacked together, and wrap the shredded veggies in it. Twist the ends until tightly wrapped, then gently squeeze. This is best done over a bowl to catch the liquid. Mix the dry ingredients and the wet ingredients separately. 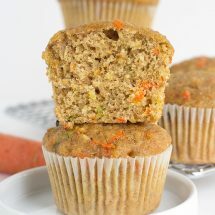 The wet ingredients can be mixed as long as you like and it won’t affect the muffins. Once the dry and wet ingredients mix though, the gluten is activated and over-mixing can cause a very dense muffin. These muffins are already pretty dense with the oatmeal and the whole wheat, so you want to keep this in mind when mixing. Fill the muffin cups about 3/4 of the way full. Did you know, an ice cream scoop is the perfect size for filling muffin cups? Use an ice cream scoop for muffins and cupcakes and they will be even in size every time! Interestingly enough, my kids really enjoyed these muffins. 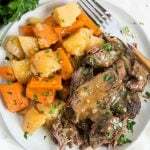 They are tender and moist, and hearty enough for a quick stand-alone breakfast. 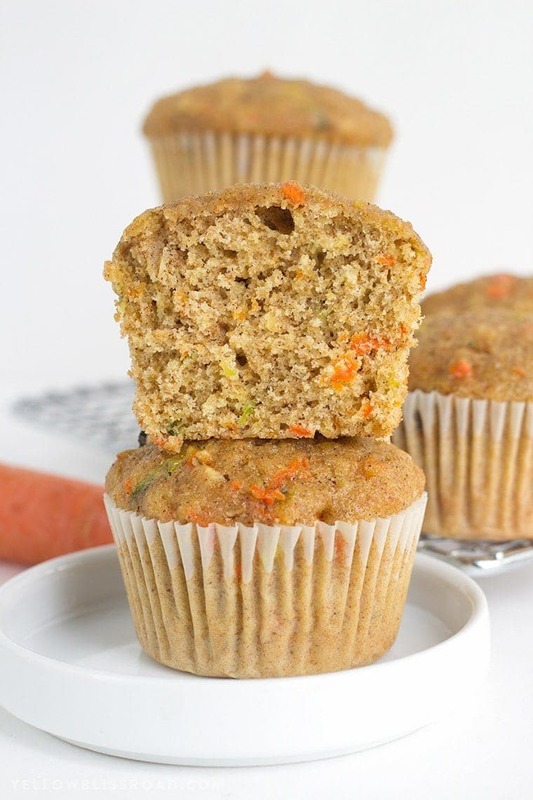 Between the oats and whole wheat and the raisins, there is tons of fiber and lots of vitamins from the carrots and zucchini, which also happen to keep these muffins super moist. 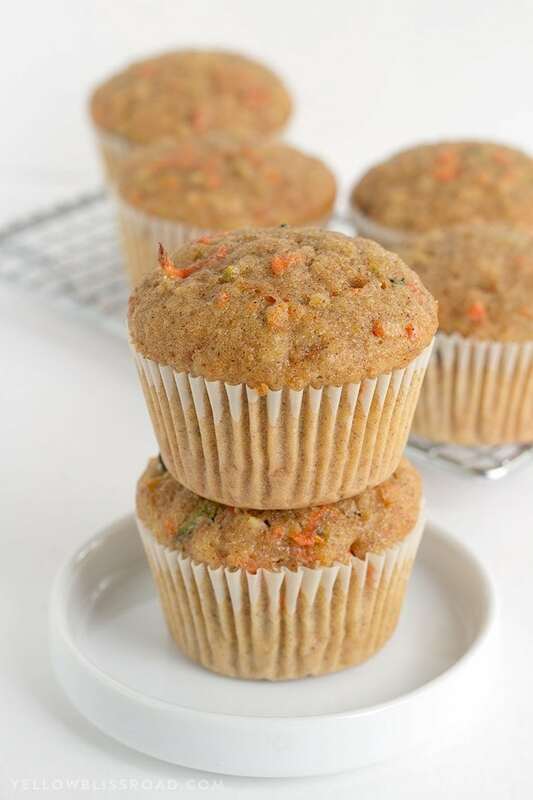 Zucchini Carrot Oatmeal Muffins, made with whole wheat and golden raisins, are the perfect option for a healthy, wholesome and delicious breakfast or snack. Preheat oven to 350 degrees. 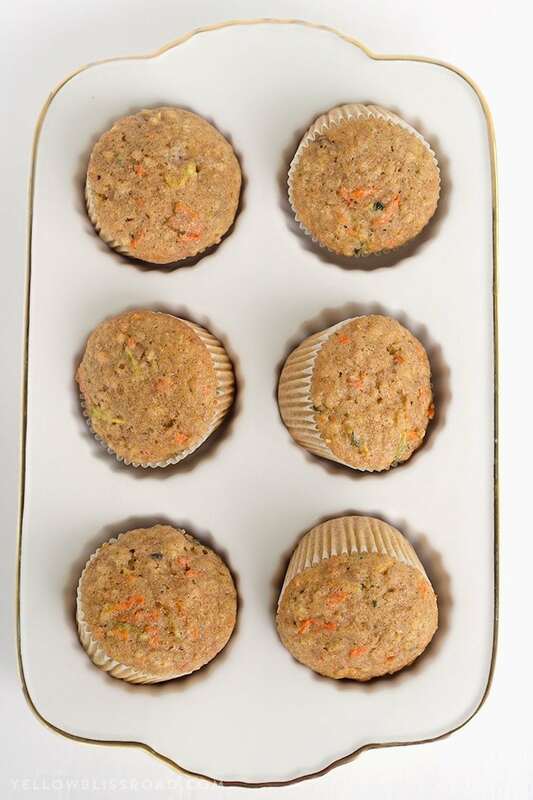 Line a 12-count muffin pan with paper liners, or spray generously with nonstick cooking spray. Squeeze as much liquid as possible out of the zucchini and carrots. We want moist, not mushy. In a separate bowl, whisk eggs and oil. 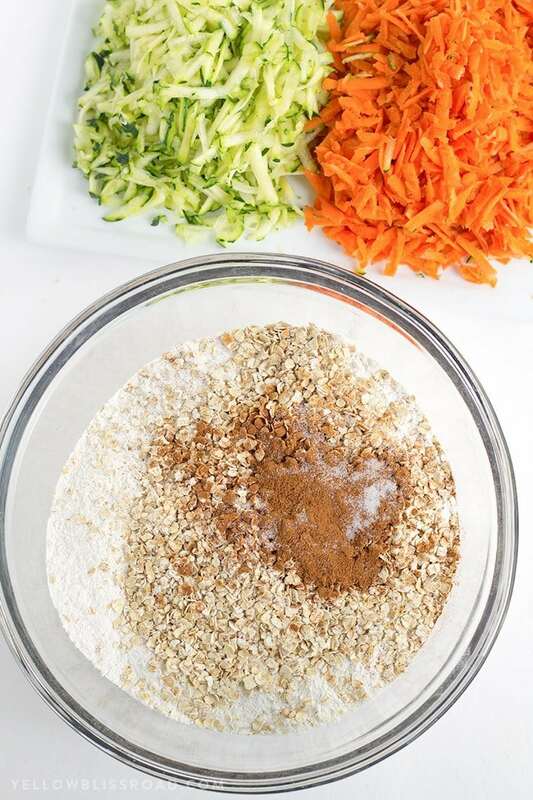 Stir in grated zucchini and carrots. Fill muffin cups about 3/4 full and bake for approx. 20 minutes. They are done when a toothpick inserted comes out clean, and tops spring back when lightly touched. Coll completely in the muffin pans and serve. Store in a tightly sealed container for 4-5 days. Recipe is fine the way it’s written. I did make them again and reduced the sugar by half a cup and it was still fine. Nice combination. Thank you Linda for sharing your positive experience! We have made these twice now and they are AMAZING!! my picky eater boys devour them. I made them vegan and use egg replacement, and I don’t know if it makes them better, but they are dang delicious. Thank you Breanna! Glad you were able to make them work for your family. Does anyone know the macros for these? I saw they are 300cal each but does anyone know the carb, fat and protein? These are delicious muffins. I had my doubts when I was mixing as it is THICK almost like cookie dough. I had to mix with my hands. But I took a chance and left it as is and baked them and they are great. I did leave out the extra egg white. Didn’t think it needed it. Also added at least double the cinnamon bc we love cinnamon. I did cut down the sugar to 1 1/3 cup. I think I would cut down to 3/4 cup as they are pretty sweet for our tastes. No raisins bc raisins are yucky. Lol. But this recipe works as is. And is very good. Very tasty muffins. I make them all the time. However did you forget to put milk as an ingredient? Without it I end up getting a really dry dough that doesnt hold together. Most of ingredients are still dry. I always just eye ball and add enough to get a batter like consistency. I have read the recipe back and forth many times and can’t seem to see milk as an ingredient. There is no milk in the recipe. When you say you eyeball, do you mean the milk or all of the ingredients? Because I’ve made this several times and had others test it and all the tests have come out great. Yikes! Lots of sugar in these ? Replaced the oil by apple sauce and made them as tiny muffins. Great! I used about 3/4 the sugar called for, subbed half the oil with applesauce, and did mostly regular raisins and some chocolate instead of golden raisins. Is good! Oh yum, chocolate would be a great addition. I omitted sugar and oil all together and used 2 cups of homemade apple sauce. They were a little dense but delicious and a perfect healthy breakfast! 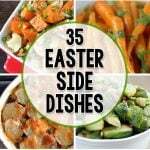 Love this recipe and LOVE the updated look!!!! These muffins get requested frequently! These are delicious! I had an issue with the recipe though. I’m not a novice Baker by any means, but my batter came out more like extremely dry bread dough. I ended up adding a cup of apple sauce and 1/3 cup of water to get a better consistency. Still a little dry, but workable. It almost seems like th dry ingredients are doubled but the wet are normal. I ended up with 22 muffins. Delicious recipe though, they came out great with that little tweaking. Perfect for a cool Saturday morning. Thanks for posting this! Hmm, I’ve made this recipe several times and it came out great. It will be a lot more dense because of the oats and wheat flour. Glad you thought to modify a little though and that you still enjoyed them. Has anyone tried freezing these? I’m planning to half the batch but would be nice to freeze and heat one at a time so they don’t ruin. I freeze them all the time. I make a huge batch and then we have them ready for breakfast or a toddler snack. Sometimes they stick to the papers, but other than that, great! Thanks for ahsring your experience Rebecca! So glad to hear you enjoy the muffins. These muffins are awesome. I did reduce the sugar but followed the recipe. Camed out moist and fluffy. Will definitely make again. I’m in the middle of making these, and I must say I’m a little surprised at the 1 tablespoon of baking powder. I kept checking the recipe to make sure I was reading it right. So I just don’t to the 1 tablespoon of baking powder into the dry ingredients And now I’m hoping for the best. I hope we don’t taste the baking powder. Wish me luck. We didn’t taste the baking powder and these are very good. Maybe baking soda is what gives food a bitter taste in excess? I dunno. Clearly I’m no expert baker. 1. I didn’t have whole wheat flour so I made my own oat flour by grinding 1 1/2 cups of oatmeal in a spice grinder. 2. I split the salt and added 1/2 tsp of salt to the grated zucchini in a collander, something I’ve seen in similar recipes. I put the remaining 1/2 tsp of salt in the recipe as directed. Will make again. I will experiment with replacing some of the sugar with applesauce like another commenter or smashed banana.